The KOBRA AF+1 40 Litre Auto Feed Shredder allows a walk-away shredding experience for shredding large quantities of paper in one go. Simply stack the sheets into the large 300 sheet paper tray and the machine will shred 13 sheets per minute until the tray is empty. The AF+1 features a continuous duty motor meaning that the machine will never overheat and can shred all day if necessary. A patented ENERGY SMART® System turns on a power saving stand-by mode after just 8 seconds of inactivity. N.B. The KOBRA AF+1 can only shred sheets with staples and paperclips when they are inserted into the manual feed slot, and the autofeeder is equipped with special paper guides which reduce the need to clean the traction belts from paper dust. 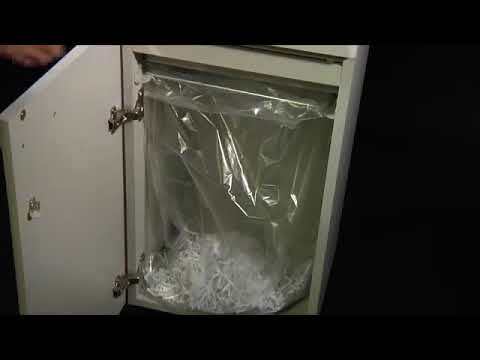 The use of a P-4 shredder such as the AF+1 60 Litre will aid your GDPR compliance. An Oil-Free System means there is no need for the lubrication of the cutting blades.